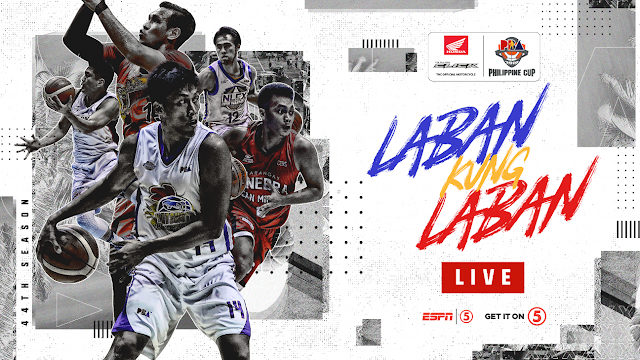 Watch the PBA Philippine Cup Elimination round today between the Barangay Ginebra San Miguel and the Rain or Shine Elasto Painters. Scheduled at the Calasiao Sports Complex in Pangasinan on January 26, 2019. Tip off at 5:00 PM. The Barangay Ginebra San Miguel coming to this game with a record of 1 wins 1 losses and currently at the 6th in the standings. The Ginebra was defeated by the San Miguel Beermen 91-99 last January 20th. On the other hand, the Rain or Shine Elasto Painters will have their first game in this new confernce Philippine Cup. ROS 83 – Torres 12, Borboran 12, Ahanmisi 11, Yap 9, Belga 9, Norwood 6, Daquioag 6, Maiquez 6, Nambatac 6, Mocon 3, Rosales 2, Ponferada 1. GINEBRA 80 – J. Aguilar 19, Slaughter 15, Tenorio 12, Thompson 12, Devance 10, Dela Cruz 6, Mariano 6, Mercado 0, Caperal 0, Ferrer 0, Teodoro 0. Quarters: 20-19; 39-38; 60-63; 83-80.